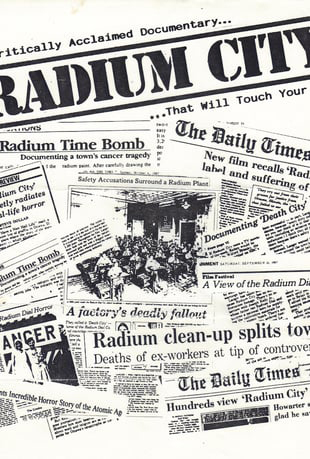 This film documentary concerns the women who fell victim to radium poisoning in Ottawa, Illinois during the 1920s. The women worked painting radium on the dials of clocks and would wet the tips of the paintbrushes with their tongues. Interviews with survivors from the industrial tragedy relate their experiences of the poisoning and the bureaucratic nightmare they were forced to contend with in seeking compensation and justice. Environmental concerns are raised, but the ambiguity surrounding the death toll is evident by a lack of death certificates and medical opinions. The feature relies on the sympathy the viewer feels for the victims of the preventable tragedy.